David Peterson, NCA MP, has paintings in private collections across the country. Since 2002, the artist has been accepted into dozens of state-wide juried shows and has won over 100 awards. 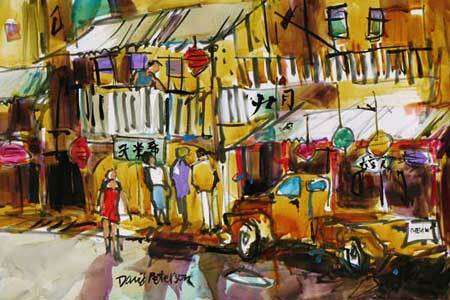 David has been accepted into California State Fair Fine Arts Exhibit 6 out of the last 7 years. David was honored to have been a Yosemite Art Center visiting artist 2012-17. He is a past President of WASH, Inc., Sacramento’s watercolor club and has been awarded NCA Master Painter Signature status. David was a staff member at Sacramento Fine Arts Center through 2018. David’s work can be seen in Sacramento at Sacramento Fine Arts Center in Carmichael, Rancho Cordova City Hall, various regional art shows. Click for more complete, printable resume.